We are delighted to announce that our Christmas and New Year's buffet deals are now on FAVE. Search for 'Hotel Maya Kuala Lumpur' on your Fave app to enjoy festive deals offering up to 30% discount! What is Christmas if it isn’t the season to be jolly while spreading love? On the evening of 5th December 2018, Hotel Maya’s Ballroom was filled with laughter as the children of Kechara Soup Kitchen gathered around to be entertained by Cha Cha the clown after receiving their Christmas presents from Hotel Maya's very own Santa. This joyous celebration was hosted by Hotel Maya in a collaborative effort with Kechara Soup Kitchen, a volunteer based organization which is famed fo r their noble efforts in aiding the homeless by distributing food and raising funds. As part of their own initiative to contribute, Hotel Maya also had a Christmas cookie sale in conjunction with the fun-filled celebration. All proceeds from the sales were given to Kechara to support them in their commendable efforts in improving the lives of those in need. To further add to the merriment, there was a guest appearance by Azura Zainal, former Disney Channel host and co-founder of OpiS (Open Idea Space), a social enterprise designed to help families. She too shares a common passion for children and the well-being of society. The night was exuberant with a live band belting out a string of cheery numbers to keep the guests in high spirits. Guests indulged themselves in a scrumptious festive buffet and dessert galore while enjoying the evening’s entertainment. Hugs were shared along with warm greetings, exciting gifts, and heart-warming testimonies by the beneficiaries of Kechara. All in all, it was a night of thanksgiving. “It was all worth it to see the smiles on the children’s faces,” said Tee Kay Goh, the general manager of Hotel Maya Kuala Lumpur, who was thrilled to see the kids enjoy themselves. We threw this party in their honour, after all. On that note, we encourage everyone to make someone happy this Christmas. An advanced Merry Christmas and Happy New Year from all of us at Hotel Maya Kuala Lumpur! Hosting Christmas dinner this year? Everyone counting on you to whip up a fancy feast for the family? Let us save you the time you'll spend buried in cookbooks! From herb roasted turkey with condiments to the vital Christmas fruitcake, we have all you need up for orders to be freshly cooked and ready to be enjoyed. To top it all off, ALL items are being offered at 30% discount until 1st January 2019! Call us at 03-27118866 for orders. All carving orders have to be made 2 days in advance. You may also e-mail to marcom@hotelmaya.com to request an order form. Hear ye, hear ye! We bring some jolly good news for all. There is now a 30% Discount for ALL Christmas cookies and goodies from today until 1st January 2019! Grab them while you can by filling up an order form or simply come to our booth at Level 1, Hotel Maya Kuala Lumpur. E-mail to marcom@hotelmaya.com.my to request for an order form ! A feature by SAYS Makan Call us at 03-2711 8866 now for reservations! ! Join our Facebook competition and stand a chance to win a feast fit for a king at the launch of our All You Can Eat Japanese Buffet Galore on 1st December 2018! 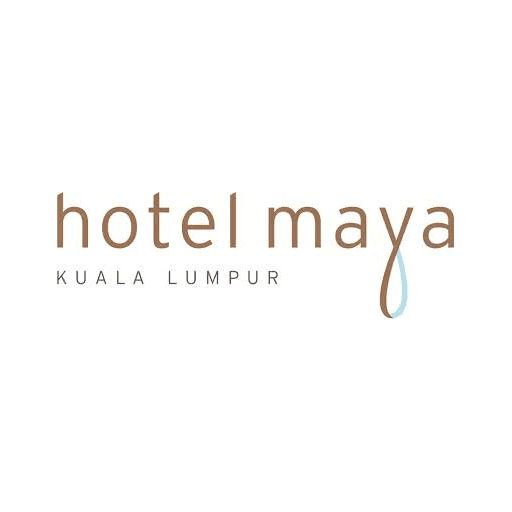 Step 1: LIKE Hotel Maya Kuala Lumpur Facebook page. FOLLOW Hotel Maya Kuala Lumpur on Instagram: https://www.instagram.com/hotelmayakualalumpur/ Step 2: FINISH THIS SENTENCE in your own words and type your answer in the Facebook comment section while tagging 3 of your friends to join the contest. "I love Japanese Cuisine because _____________________________________." (Tag 3 friends) Step 3: SHARE the contest post on your Facebook timeline and set to PUBLIC POST with these hashtags #StillWatersHotelMayaKL The 3 contestants with the most impressive answers will each win 2 Buffet Vouchers to enjoy the All You Can Eat Japanese Buffet Galore! Winners will be announced on Hotel Maya Kuala Lumpur Facebook page on Thursday, 29th November 2018 at 11.00am. Winners will be informed via their Facebook inbox. Terms & Conditions: 1. Malaysian citizens age 18 years old & above. 2. All vouchers can be redeemed within 2 months from the date issued only on Saturdays (1st Dec onwards)from 12pm-3pm at Still Waters, Hotel Maya Kuala Lumpur. 3. All prizes are not transferable or exchangeable for any form of cash value. 4. The Management has the right to cancel or amend the prizes or the contest without notification. 5. The Management has the right to cancel the vouchers for the winner if he or she failed to reply within 2 days after been notified. 6. The decision made by The Management is final. ANGGUN SPA OCTOBER - DECEMBER PROMOTION Maya Indulgence Signature Therapy Surrender your senses to an ultimate experience with the Maya indulgence Signature Therapy. The Maya Indulgence Signature Therapy is a 3 1/2 hours package, to be enjoyed alone or with a companion. This top-to toe therapy combines the delicious aroma of coffee and mococa, will tease your senses while you get a full body spa indulgence. Promo Price RM 492 for singles (Normal price RM 600) RM 695 for couples(Normal price RM 900) For reservations, please call 03-27118866 ext. 290. All prices are inclusive of prevailing taxes. Heading to 19th KLPJ Wedding Fair 2018? please visit our booth B42 on 21, 22 & 23 September 2018 at Mid Valley Exhibition Centre. See you there! RAMAH TAMAH Imperial September 2018 RM 103 nett per kg RM 13 nett per slice Chocolate fudge cake layer with chocolate cream, chocolate ganache and cornflakes. For reservations, please call 0327118866 ext 263. All prices are inclusive of prevailing taxes. STILL WATERS Special Bento Set RM 69 nett September 2018 Monday - Friday Lunch (12.00pm - 2.30pm) Dinner (6.30pm - 10.30pm) Saturday Dinner (6.30pm - 10.30pm) (Close on Sundays & Public Holidays) For reservations, please call 0327118866 ext 260. All prices are inclusive of prevailing taxes. Our General Manager, Mr. Teekay Goh presenting the hi-tea voucher to Ms Hani, the winner for our hi-tea contest on Facebook recently. Congratulations! MAYA BRASSERIE East Meets West 6 - 30 August 2018 (except Saturdays & Sundays) Buffet Lunch (12.00noon - 2.30pm) RM 89.60 nett per adult Half price for children between 5 – 12 years old For reservations, please call 0327118866 ext. 258. Effective 1st June 2018, the Goverment of Malaysia had announced that the current of Good and Service Tax (GST) will reduce from 6% to 0%. By this, all our rate for accommodation and dining will be revised accordingly to reflect the new changes from the dates henceforth. Ramadan Room Promo Book your stay priced at RM 390 nett per night (Studio Room) inclusive of berbuka puasa & sahur for 2 persons. *Free upgrade to Deluxe Suite (terms and condition apply and subject to availability) For bookings, please call 0327118866.